It seems that all things Minecraft are taking over my house. With its Creative and Survival worlds created with the sole use of electronic textured cuboid building blocks it appears on tablets, lego sets and now even books! 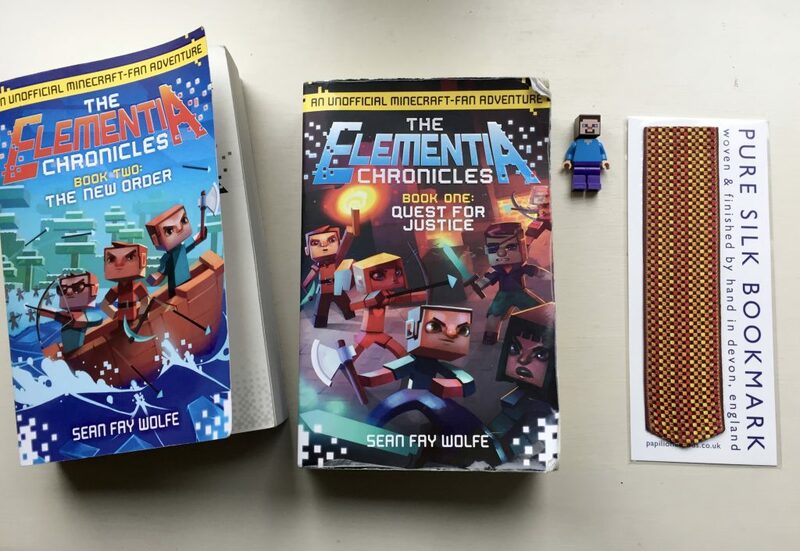 Actually, books was were I started to get interested and was delighted to be able to provide my 11 year old with the perfect Papilionaceous bookmark to accompany ‘The Elementia Chronicles (an unofficial Minecraft-fan adventure)’ that he is whizzing through! 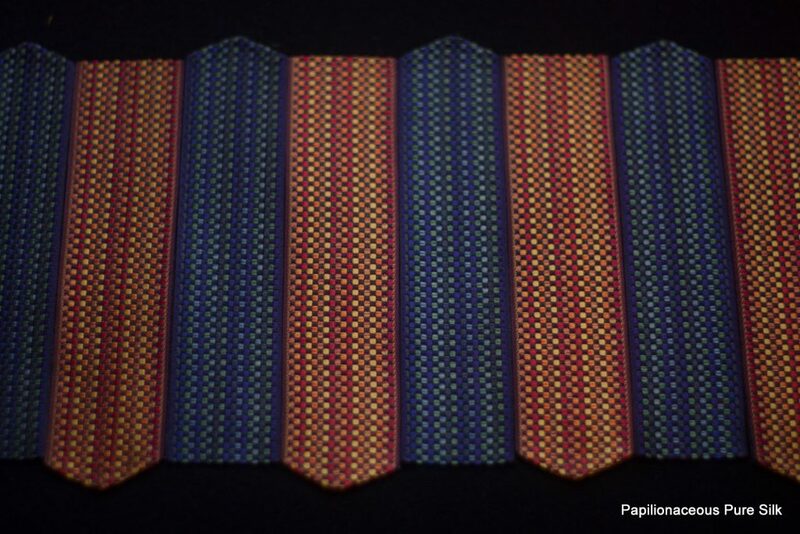 The colours of original abstract basketweave designs were inspired by the old London Underground District and Piccadilly Line trains’ moquette fabric upholstery. Great then to see this bookmark design having renewed (if unintended) appeal to a 21st century audience!